Day 6: Rafting from Remala to Karsha. Day 7: Raft from Karsha to Honia. Day 11: Raft grade 4 from Lamaguru to Nimu. Day 12: Fly back to New Delhi. To explore greater Himalayas beautiful views and K2 ranges one can prefer taking an hour long flight journey from New Delhi to Leh which will fly over the Himalayas. 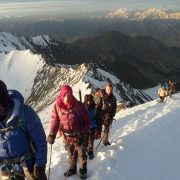 Persons visiting leh must adjust themselves to the high altitude of 11,000 feet. A visit plan to the Hemis monasteries and things will be organized. You will be able to experience the culture of leh region while visiting the Ecological centre and surrounded areas. People looking for give away gifts can visit Tibetan market which will be fun. One can spend his/her whole day sightseeing of beautiful sceneries and the amazing miracles of nature in leh as there is no shortage of these wonderful sights in leh. You can stay in the hotel and can take a ride to Kargil the next morning. It will be a fantastic drive to Kargil at 14,000 ft over the Fotu La Pass. You can stop at the monastery (Lamayuru) which belongs to ˜Red Hat sect. Don’t forget to stop at the statue of the Maitreya (the future Buddha) which is made up of stone at Mulbek which can be considered as an additional attraction. You can rest for the night at the kargil hotels. It takes a long time to reach rangdum from kargil. Nun and kun are the beautiful twin peaks situated at the altitude of 7000 meters and you can enjoy the peaks scenes on the way of Panikar and Parkachik with lush meadows and number of hanging glaciers. This will be the last day of driving before starting the Zanskar River Expedition. To get some beautiful views of Drung Durung glaciers you can travel past the Zanskar Valley at the Pensi La Pass at the height of 14,000 ft.
At ramela there is a tributary Zanskar from where you can start the journey on the Doda river. Camps are there for night stays and a good sleep is recommended as people anticipate the river on the first day. 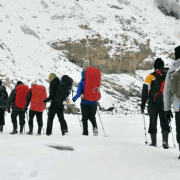 Zanskar River Expedition begins with the safety procedures and usual instructions which is briefed by a professional and experienced river guides. Grade 3 is the section where the river begins and it is also a great way to start the journey where you can work up with the muscles and it will also be a good start for the first timers who are enjoying rafts. You can set a camp at the confluence of the river Doda and Tsarap chu. Four hour raft and then can take a break for lunch alongside the river. One also has an option of resting and enjoying the hike or camp to the monastery Karsha. Overnight stay can be made at the camp for more adventure. People who love photography can take pictures of the sunrise which is the best time to capture beautiful pictures. You can leave the monastery early and then take a head out to Honia by the river. 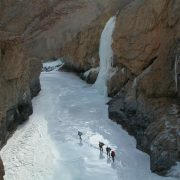 In the river you can enjoy practicing grade 3 rapids by practicing paddling and enter the Zanskar Canyon. Enjoy the sights of the Himalayas and The Zanskara range as the valley starts tapering down. Make a stay at the camp for overwrite. To reach Nyerak the canyon it will take 25 km on the river. This grade 3 section is warm ups for rafting which will be followed in the next coming days. The last village at Honimul which we will enter has beautiful canyons. Banks of the rivers now offer a way to the mountain ranges that stands thousands of feet above. At this place few great torrents are performed after having lunch. More Rafting can be done before you will call it adventuress day and before setting a camp below the village The Nyerak. This village site is perfect for camping and is one of the few canyon sites for a day just to explore the surrounded region. This the day which is assigned for the rest. Or people can go on hikes to the village Nyerak where you can mingle with the local villagers and explore their homes and culture or you can take a rest break and have fun with nature under the weeping willows and splashes in the river to get ready for the next day adventure. Stay is in the camp for overnight. 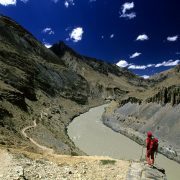 A journey of 35 km will take you to the centre of the canyon Zanskar. The canyon brings the confluence of Lamayuru with Markha river. Here you can experience the strikes of rapid 4 on this extend. After that you can take a break for lunch alongside of the waterfall from the walls of the canyon.you can paddle the raft little further to the amazing red canyon and then can camp for the night. Next day be prepared to go through most surprising colours and sights courtesy of nutrient stay is in the camp. At Nimu raft for grade four. 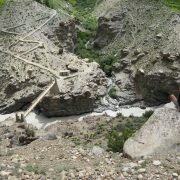 While passing through the chilling village you will go through beautiful white waters were Zanskar meets the Indus at Nimu and is the end of the journey. After reaching you can freshen up by a shower or can take a nap or can prefer last minute shopping. 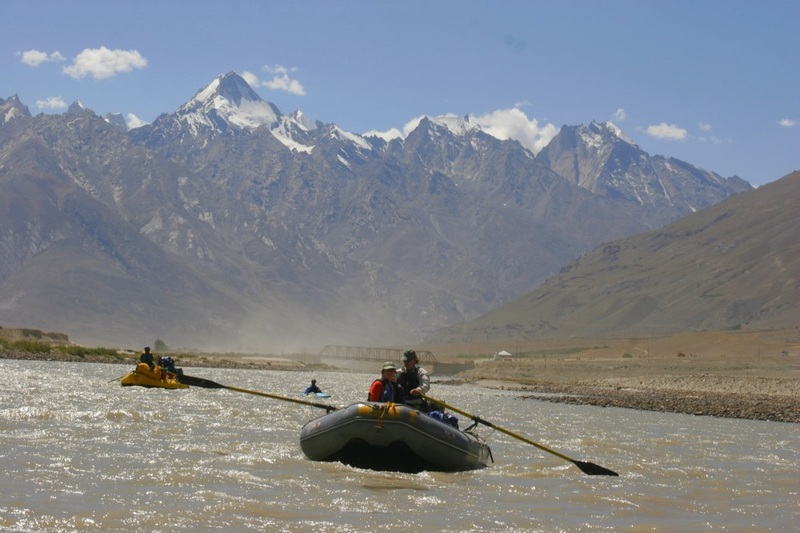 The stay is at the hotel your Zanskar River Expedition comes to an end. Rafting from Remala to Karsha. Raft from Karsha to Honia. Raft from Honia to Nyerak Day for relaxation Raft from Nyerak to Lamaguru Raft grade 4 from Lamaguru to Nimu.